Preventive wellness care is an essential part of keeping your dog healthy through every stage of life. 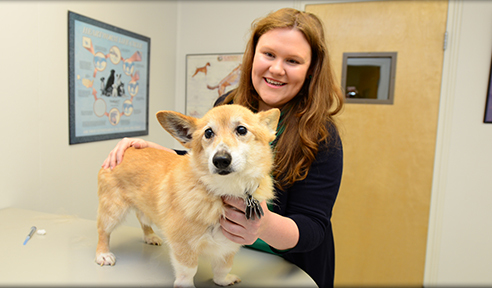 At Belle Meade Animal Hospital, our veterinarians recommend annual exams for puppies and adult dogs, and biannual exams for senior dogs. Our canine wellness exams are always tailored to the needs and lifestyle of your dog, and will include a thorough physical exam, customized vaccine programs, dental care, parasite testing, heartworm prevention, and nutritional counseling. Visit our puppy, adult dog, and senior dog pages to learn more.